"The Rocky Horror Picture Show" is not so much a movie as more of a long-running social phenomenon. When the film was first released in 1975 it was ignored by pretty much everyone, including the future fanatics who would eventually count the hundreds of times they'd seen it. "Rocky Horror" opened, closed, and would have been forgotten had it not been for the inspiration of a low-level 20th Century-Fox executive who talked his superiors into testing it as a midnight cult movie. The rest is history. 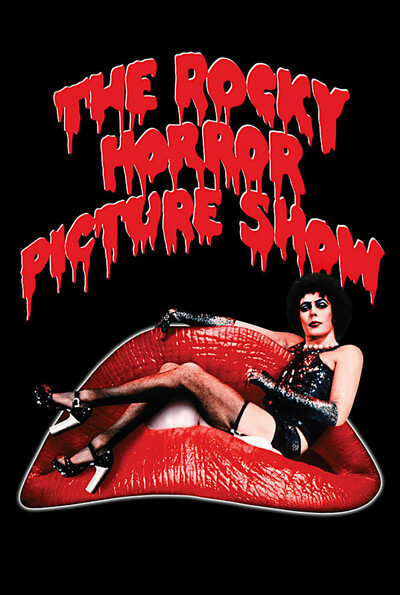 At its peak in the early 1980s, "Rocky Horror" was playing on weekend midnights all over the world, and loyal fans were lined up for hours in advance out in front of the theater, dressed in the costumes of the major characters. There were jolly reunions of Janets and Brads, the All-American couple played in the movie by Susan Sarandon and Barry Bostwick, conspiratorial knots of Dr. Frank N. Furters, the mad transvestite scientist played by Tim Curry, and clumps of Riff Raffs -- he wasthe hunchback butler played by Richard O'Brien, who also wrote the songs. Inside the theater, the fans put on a better show than anything on the screen. They knew the film by heart, chanted all of the lines in unison, sang along with the songs, did dances on stage, added their own unprintable additions to the screenplay, and went through a lot of props like toilet paper and water pistols. They also formed a sort of weird extended family. They met every week, exchanged ritual greetings, celebrated each other's birthdays and other major holidays, and even dated and married and gave birth to a new generation of "Rocky Horror" cultists. It was a strange exhibitor-audience relationship, because the regulars were essentially buying tickets so they could attend their own show. The "Rocky Horror" midnight cult still survives, in a muted form (how long into middle age, after all, can one really continue to dress up like a Transylvanian transsexual?). But as the cult slowly fades in the moonglow, Fox has taken the long-delayed step of releasing the movie on home video. There are likely to be two results: (1) A brief epidemic of "Rocky Horror" costume parties, and (2) disillusionment with the movie itself. The whole thing about "Rocky Horror "was that the movie played as a backdrop to the stage show by the fans. As for the movie itself, it's no better thanit ever was. Viewed on video simply as a movie, without the midnight sideshow, it's cheerful and silly, and kind of sweet, and forgettable.